So Yves and I decided to celebrate the reclaiming of my dining room table with a nice hot breakfast this morning. 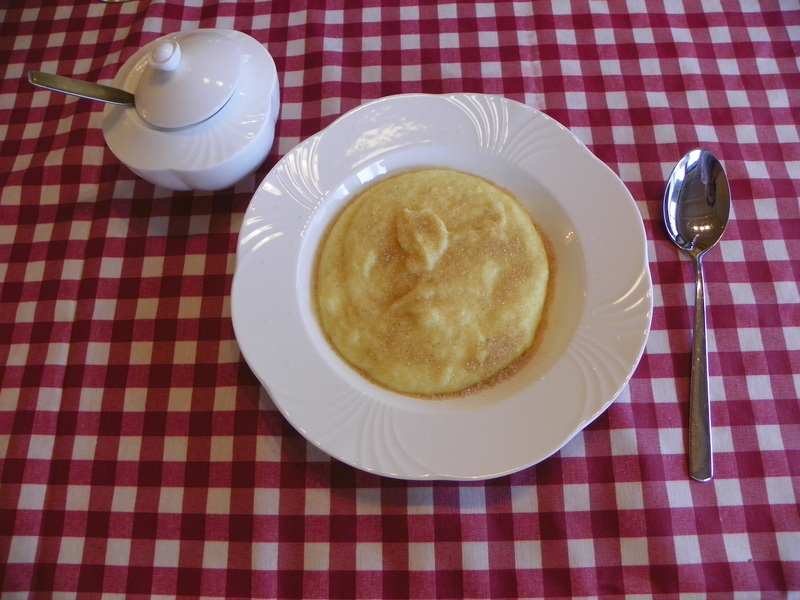 Yves made ‘Griessbrei’ which I guess is the equivalent of my late Nanny Frances’ (Granny’s sister) porridge. It’s basically milk, sugar and Semolina mixed with a bit of egg yolk. We ate it, of course with apple sauce and sprinkled with cinnamon and sugar. I love it, especially since I don’t have to make it! 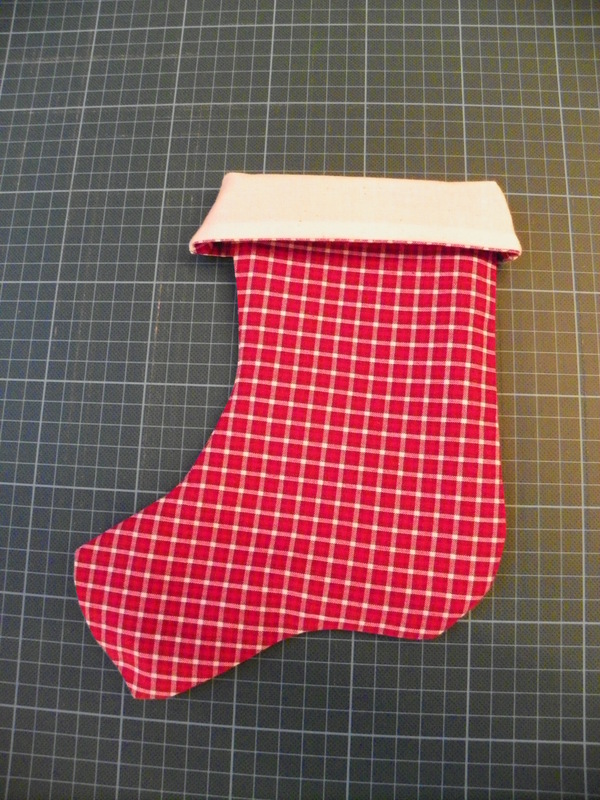 Unfortunately, my version looks more like a boot than a stocking but I’m learning! 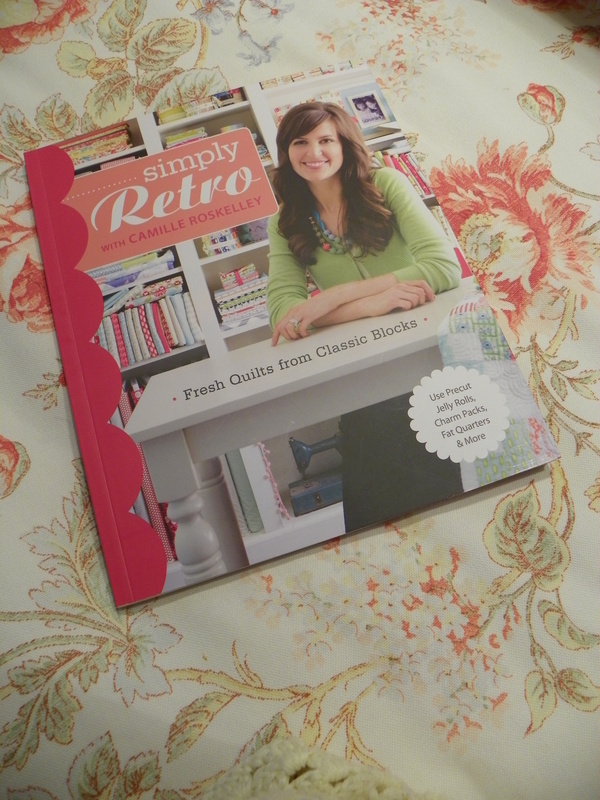 Also did a little relaxing reading, from both Quilty and my new book. 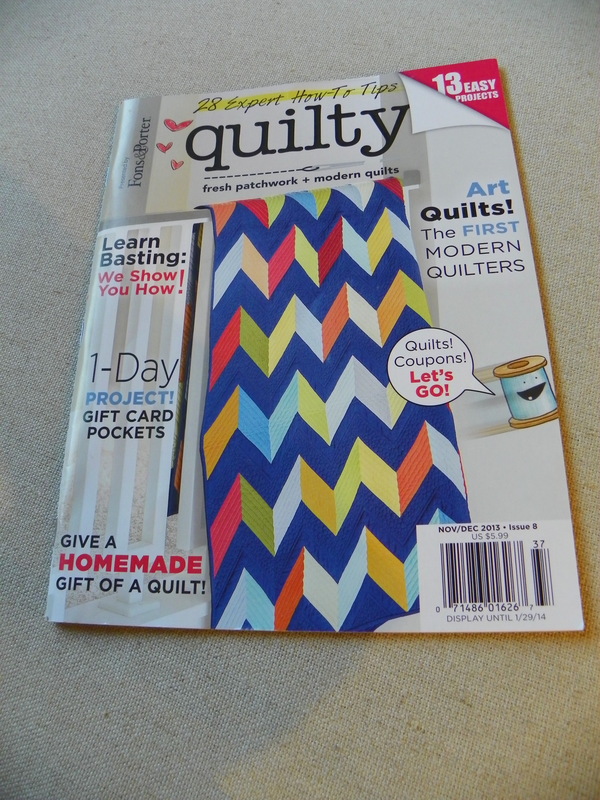 Both were great buys and I want to go back to Nürensdorf and get the other Quilty issue. Unfortunately it’s been drizzling all day, so haven’t gotten out! Got to go, need the energy for tomorrow’s gift baking spree! 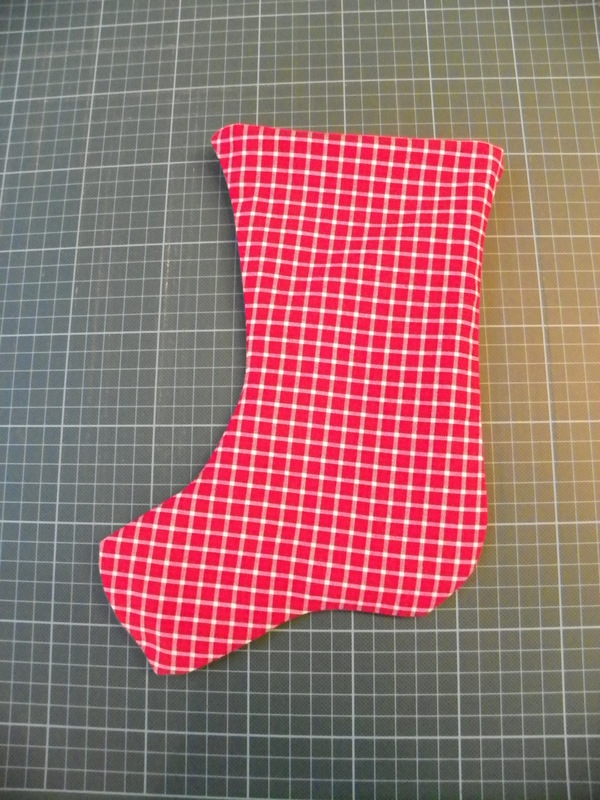 I love the stocking! I’m so glad I found your blog. I can’t wait to keep reading about your adventurs. Love you Jodie, MERRY Christmas from me! Alex and Gristle. My Christmas with you in Switzerland is so memorable to me, I had a great time with you and the family. It’s so beautiful where you live. I can’t wait to visit you one day there with Alex!